Ongoing observations on AMC’s TURN. Sunday nights. Check the listings. TURN takes a significant upward tick as we find Simcoe and Woodhull squaring off in a traditional 18th century dual. Woodhull is somewhat strong armed into the affair, but once committed, he is determined to see the whole mess through to the end. Unlike most duels which fall short of actual gunfire and bloodshed, we are witness to an exchange of fire from at least one side. The duel is by far the high point of the series to date. The writers of TURN seem to have done their homework on 18th century duels. One assumes that this is a historically accurate portrayal. Woodhull and Simcoe are to exchange fire until the duelists reach ‘satisfaction’. Who shoots first? Why that is a matter of a coin flip. I am left wondering when this affair of honor evolved into a simultaneous fire as was the case for a much more famous duel between Hamilton and Burr. Duels were much more common after the war (and into the war of 1812) and were a particular problem in the fledgling American Navy. One can only assume that men living in cramped quarters for months on end could get on each others nerves. Laws and orders were issued discouraging these duels, however the practice continued. 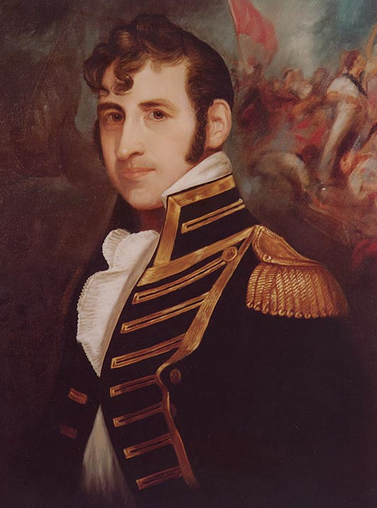 The most famous duel outside of Hamilton, Burr and Jackson was between Stephen Decatur and James Barron. Like Hamilton, Decatur’s stellar career was cut short by a duelists bullet. It was an American tragedy spawned by the timeless sins of pride and ego. The 18th century duel is custom made for a historically based TV drama and AMC does it justice in episode 7. The duel holds a significant place in the American consciousness mostly due to the popularity of Westerns. 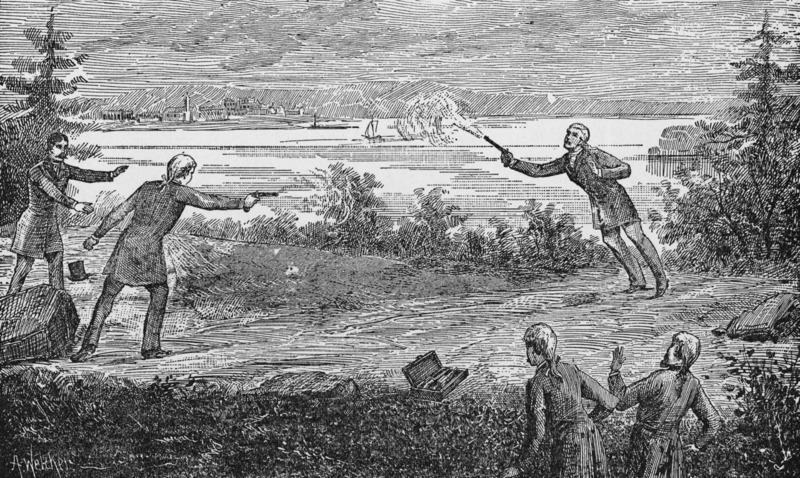 The fascination with the duel lives on today, yet it is important to note that that some of Americas’ best and brightest fell victim to this affair of honor long before the rise of pulp fiction and the colt revolver.